The story is about what happens in the life of a set of people in a day... Their path crisscrosses each others’... It is also about how the events in that day affect their life - Forever! 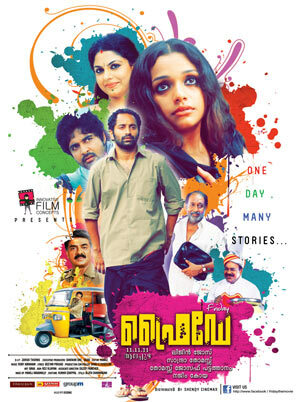 I chose to watch the movie only because of the brand - Fahad Fazil. Let me tell you... He did not disappoint me... He comes across as a konkani... His accent and body language is commendable... His eyes are expressive and we connect with him instantly. I really wish that the climax was simple too... The element of drama could have been avoided. It is not essential that something should happen... It could have been concluded as yet another Friday... But, movies are supposed to be packed with high dose of drama, isn't? In short, I loved the movie. Its simplicity awed me. Fahad Fazil proves himself again further proving that his movies would be both different and spellbinding! So... Go for the movie... Enjoy it... Envision the metamorphosis that Malayalam film industry is going through... The hungry movie buff within you will not feel unhappy...!!! !